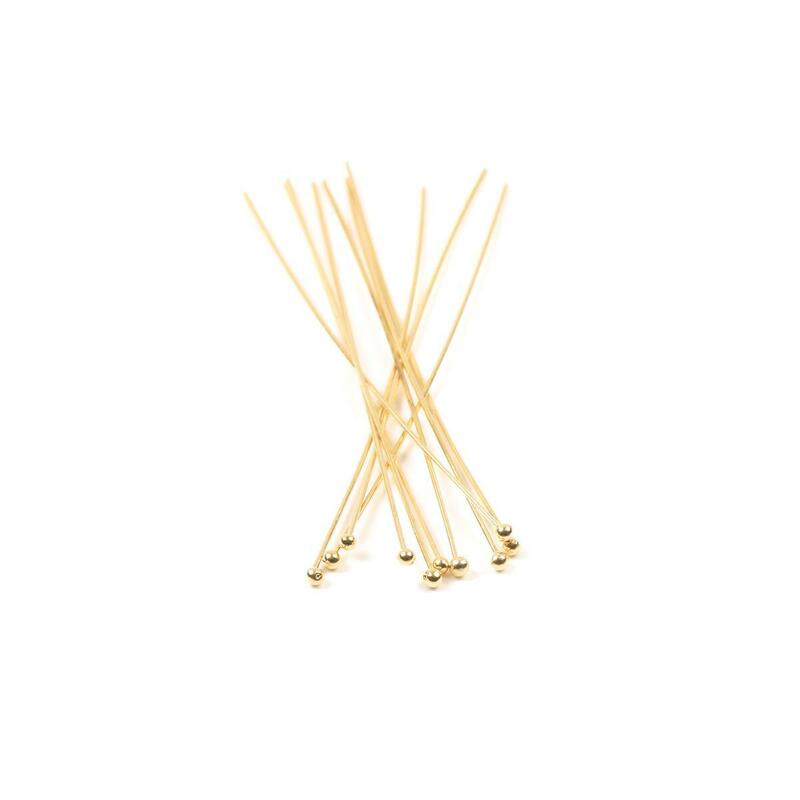 These Gold Plated 925 Sterling Silver Ball Headpins can be used for a variety of basic jewellery-making purposes, from making earrings and charm bracelets to creating pendants or any collection of beads that dangle down from a starting point. At approximately 50mm in length and 0.5mm in width (24 gauge), you will usually need to thread on your beads (stopped by a ball-shaped head at the bottom) and then form a loop at the other end using Round Nose Pliers. With approximately 10 pieces in total, what better way to top up your jewellery making stash?